Always fiercely independent—whether it comes to the handling of a sensitive investigation that could dramatically sway public opinion in a presidential election, or the belief that music conferences have just become too corporate—FBI director James Comey has pulled out of this year’s SXSW. Comey was scheduled to give a talk during the annual festival on “the tensions between privacy and national security,” a rather timely and sensitive subject in recent months, and one that Comey has been at the center of amidst investigations into Hillary Clinton, Donald Trump’s allegations that President Obama wiretapped his phone lines, and whatever other accusations will pass from Julian Assange’s lips to Steve Bannon’s crevice between now and March 13. 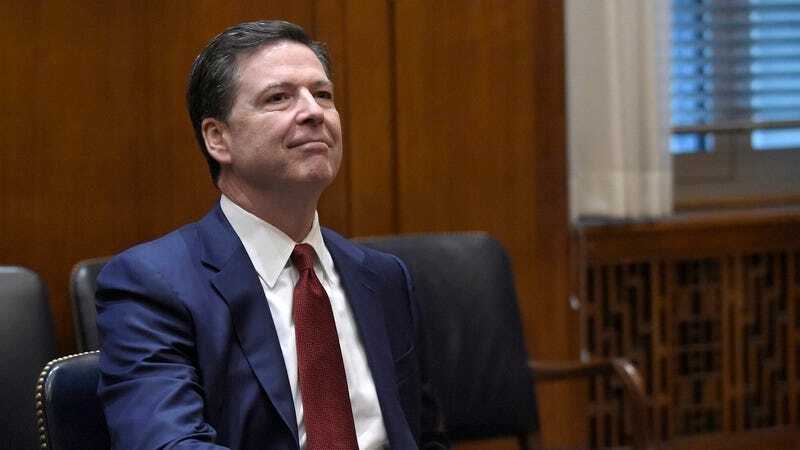 On that note, Comey has cited “scheduling conflicts keeping him in Washington D.C.” as preventing him from stealing away to Austin for a few days to relax in the relatively bucolic idyll of a million people who have been drinking since noon yelling at him about emails. While Comey will miss his chance to have an awkward conversation with Joe Biden by the Porta-Potties, FBI General Counsel James Baker will take his place for the talk hosted by Jeffrey Herbst at Newseum—a bit like Future pulling out and being replaced by Desiigner—but who knows, maybe Comey will still drop in and do a surprise set at the Spin party.